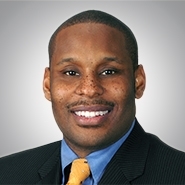 CHICAGO, Ill. — The national law firm of Quarles & Brady LLP today announced that Chicago partner Steven Hunter has been nominated to the Leadership Advisory Committee of the Art Institute of Chicago. In 1994, the Art Institute established a committee comprised of African-American community leaders with the mission to promote and sustain diversity within the institution. Launched with a grant from the Lila Wallace Reader's Digest Fund, the initiative continues today as the Leadership Advisory Committee (LAC). The Leadership Advisory Committee of the Art Institute provides counsel, fresh perspectives, and support to the museum on all matters related to the engagement and advancement of African-Americans in the life of the institution. The LAC believes diversity in vision, collections, exhibitions, staffing, and audience is critical to the future and well-being of all American cultural institutions, and it is committed to engaging the broadest and most diverse audience in support of this vision via marketing, development, and educational programming. Hunter is a partner in the firm's Litigation & Dispute Resolution Practice Group where he represents companies in all phases of litigation and alternative dispute resolution. He is a trial lawyer with first-chair experience representing companies as lead counsel in federal and state courts around the country, before local and national administrative agencies and at arbitration in the United States and abroad. Hunter's clients cross multiple industries (including, but not limited to): banking/finance, manufacturing, construction/design, entertainment/sports and food/beverage. He also represents pro bono clients in criminal, family law, and political asylum proceedings. He received his law degree from Georgetown University Law Center, and his bachelor's degree in Economics and Political Science from Brown University.